Positive wellbeing is good for employees and employers alike. Research suggests it can have an impact on motivation, productivity, absenteeism and staff turnover. Indeed, figures from the Centre for Mental Health suggest that UK companies lose £34.9 billion in productivity as a result of mental health issues. The key challenge in trying to foster a workplace culture that supports employee wellbeing is that there are a number of different factors at play, from mental health and stress, to physical factors such as sleep, fitness and illness as well as financial well-being and general job satisfaction. It’s therefore important to give employees choice of a range of different support options and benefits in order to meet their varied needs and interests. Employers can do a lot by offering employee benefits that help foster wellbeing. Different benefits that are relevant here could include gym membership, health insurance, cycle to work schemes, or even just discounts on every day shopping. There has been a big push by employers to offer benefits that support employee lives outside of the workplace. Offering lifestyle concierge services, for example, is increasingly popular, particularly those services that save employees time or help them organise their personal lives, such as travel and ticketing concierge. Some employers may even choose to have a dedicated wellbeing portal, whereby they provide access to different related benefits (salary sacrifice, voluntary benefits and concierge) alongside information and guidance on wellbeing related topics. On top of this, certain business are going a step further and providing support in areas that traditionally have not been covered by employee benefits. Facebook's egg-freezing coverage and Netflix's unlimited paid leave are two examples. Easing the financial burdens of day-to-day life by offering employee discounts is one thing, but financial wellbeing is about much more than just cash flow. Knowledge is a powerful tool in anyone’s money saving endeavors and more and more employers are focusing on education as a way to assist their employees. This includes helping people at all levels better understand things like budgeting, childcare, debt, travel money and wedding planning and can be integrated with other money saving benefits as part of a broader package. There are a number of different steps that employers can take to provide support around mental health. It’s important for employers to provide their staff with the right training and education around mental health issues, both to reduce the stigma attached to it, but also to provide team members with the tools to deal with it. This can range from simple awareness raising initiatives to teaching managers how to spot symptoms and know how to deal with them. In terms of providing the appropriate tools for employees to deal with any issues they may have, again there are a number of options. 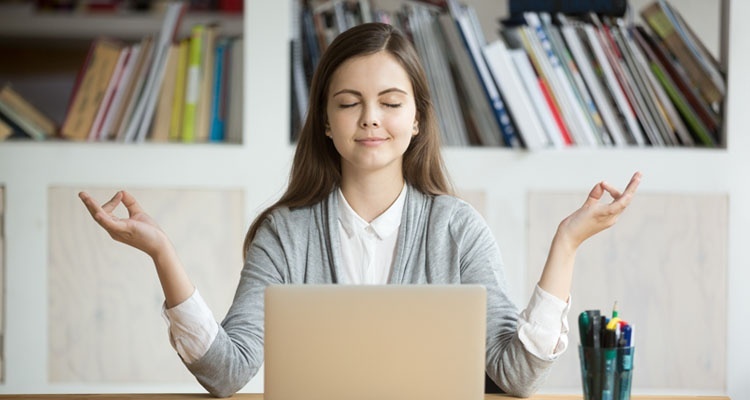 Popular in the Silicon Valley and supported by research, mindfulness is known to release stress, enhance focus on improve engagement in the workplace. The Journal of Management recently analysed a whole raft of studies and found that just 3 minutes of mindfulness a day can make a notable difference to mental wellbeing. Employee assistance programme are another great tool – these provide counselling and support services for employees and/or members of their families. EAPs remain one of the key tools for dealing with occupational stress and anxiety and an increasing number of employers are offering EAPs as part of a broader ‘well-being’ strategy. Physical health is a key factor in overall wellbeing and there are a number of simple, practical steps and initiatives that employers can implement to encourage better physical health amongst their team. This could include inviting nutritionists to come and educate staff on the impact of diet on their wellbeing, designating ‘nap rooms’ to encourage down time in the working day, organising group exercise classes or sports related excursions or even just offering an additional day’s annual leave over the Christmas period to help avoid burnout. Presenteeism – where staff are physically at work but disengaged because they are not physically or mentally fit – is a growing concern for employers and is often directly linked to physical health and illness. According to the CIPD, the number of employees turning up to work sick has more than tripled since 2010, with 86% of employers having faced the issue. Encouraging sick staff to stay at home, or offering flexible working hours, can go a long way towards reducing these kinds of issues. Social wellness is another key aspect of wellbeing and much of this comes down to job satisfaction and workplace culture. Employee recognition can make a big difference in this respect. Encouraging leadership, managers and co-workers to recognise the efforts of staff can have a big impact on motivation, helping individuals to feel valued and, ultimately, satisfied in their roles. This can be as simple as saying thank you. Whether in a hand written note, or at a team meeting, a study by Glassdoor found that 80% of employees would be willing to work harder for an appreciative boss and 70% said they’d feel better about themselves and their efforts if their boss thanked them more regularly. For more information on how employee benefits and reward & recognition can support your wellbeing strategy, simply get a demo from one of our Engagement Consultants.